We bring our BBQs, music and drinks. And with the glorious Provençal sunshine on tap- just add your friends and family and you are good to go. The chateau raised garden terrace is the perfect spot for our BBQ and amazing salad displays, it's a really big draw. After the big day and big night we love taking things a little slower on the Sunday. With the chilled-Ibiza sounds wafting around the chateau, a pool party fits nicely into the rhythm of St Maximin and a lazy Sunday afternoon. With the jacuzzi and sun deck on the top floor, we've a multiple of ways to recharge your batteries. Take a look at the short video that we made that captures poolside at The Chateau nicely. Life's too short for ordinary. 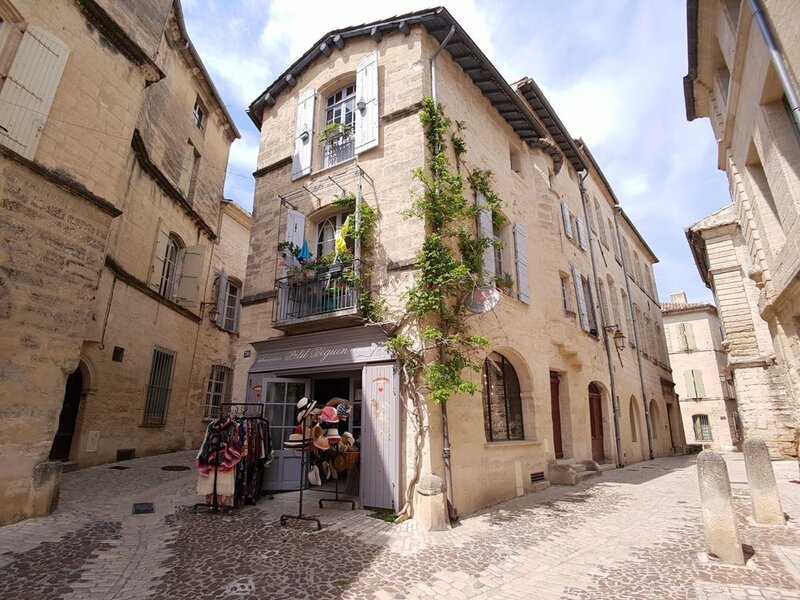 Sitting between Alès, Nimes and Avignon, lies The Chateau's beautiful neighbouring market town of Uzès. Standing at just a five minute drive away from The Chateau, nearly all of our guests spend some time here. Under the arcades of the Place aux Herbes and along the neighbouring streets a market takes place here every Saturday. You will find a profusion of regional products, in the warm and colourful atmosphere of Provencal markets. Not surprisingly our Executive Chef Theo loves it here and we source a lot of our ingredients in Uzès. There is a medieval garden containing over 400 varieties of edible and culinary, ornamental and medicinal plants that illustrate their importance in everyday life in the Middle Ages. 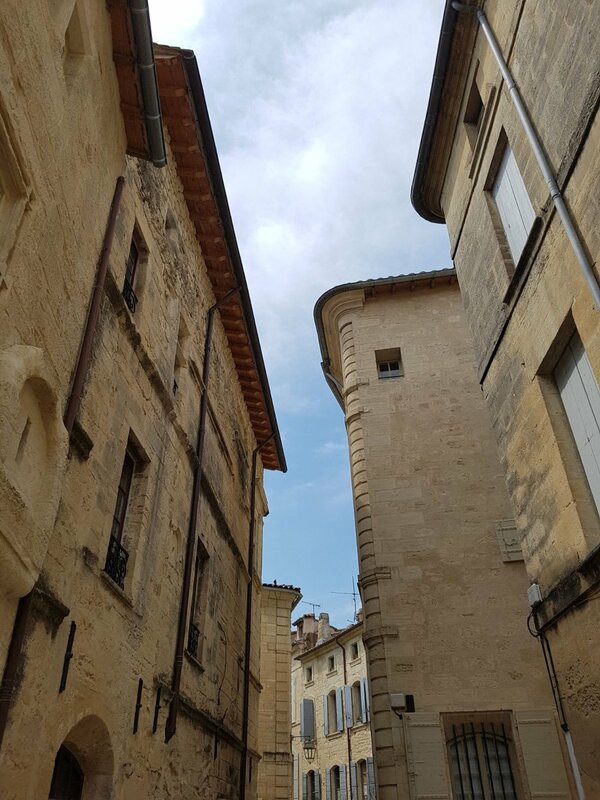 There, you can admire works of contemporary art (there are some wonderful galleries here too) and climb the 100 steps of the King's Tower to enjoy striking views over Uzès. Enjoy the slides (thank you Rad for taking them) and we hope you get a chance to visit. Chateau-life is one of our favourite things. Life's too short for ordinary. Fancy A France Wedding Package With A Difference? For many, the idea of organising a France wedding package is fraught with questions and challenges and can be off-putting, especially for brides to be based in another country. Elsewhere understands that organising a wedding package in France is a daunting process, which is why our expert wedding planners, based in the UK can walk expectant Mr & Mrs’s through the entire wedding package and process while in the UK. One of the key areas every soon-to-be-married couple wants to know about is the food. And one of the fun parts of organising your wedding package in France is the tasting session! Elsewhere is unique in having venues throughout the France and the UK that are exclusively ours. As such, once a couple have confirmed they want to book our beautiful Chateau to hold their wedding we like to organise a complimentary tasting session at our Norfolk country retreat; Hill House. This is a chance to take a breather from the wedding package in France organising and enjoy some time out eating some delicious food. You arrive at our stunning Norfolk retreat Hill House, sitting together in the country kitchen, a couple of glasses are wine are poured, possibly four. Your fiancé, you and Sam sit around the country kitchen island, Theo starts to discuss the food concepts he has been considering. These are not just about menu’s it’s about the whole theme, concept of the dining experience. You all sit, chatting, Theo cooking one dish after another on your very own chef’s table. Cooking, plating up and serving several dishes to share and taste. This is all part of the Elsewhere experience of helping to make your special day perfect. Life's too short for ordinary. With our breakfast options we like to move you around over the course of your stay and surprise you a little. Introducing our new sun terrace. On top of the roof - we get the sunshine all day. With the new designer loungers, the jacuzzi and the most magnificent views - find your spot and recharge those batteries. We limit weddings to just 15 a year for one reason - to keep them super-special and very personal for our couples. We're the antithesis of the wedding sausage factory as we couldn't think of anything less inspiring. We limit weddings at The Chateau to just 15 per year. It's important for us to stay under the radar and we like to make sure every wedding is special and unique. Chateau weddings are elegant and stylish - just add friends and family and let The Chateau do the talking. Run For The Hills is part of a bigger story. We're all very excited about a big year ahead at The Chateau. Now that the temperature is rising, it's all systems go for a wonderful Spring and Summer season ahead. If you have children then it's unlikely that you'll avoid going to the musee du bonbon, aka - The Haribo Museum. 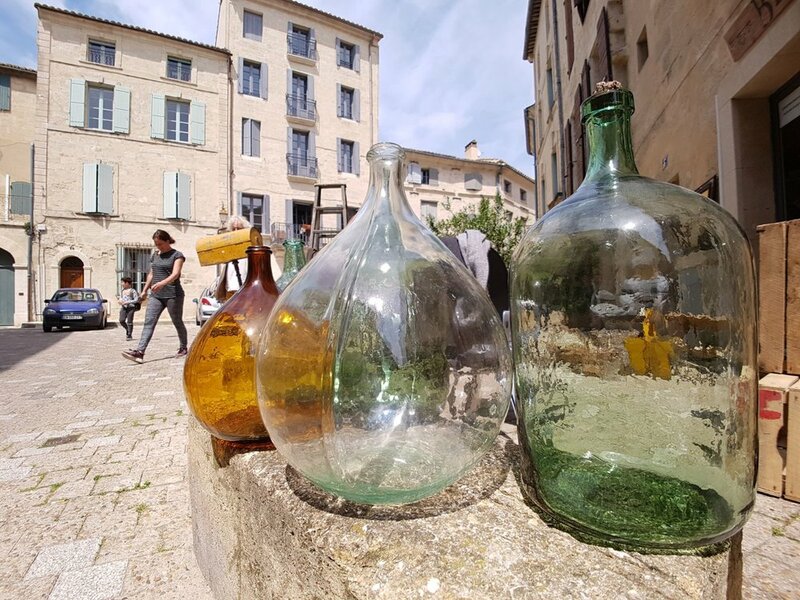 It's only a few minutes down the road on the way to Uzes - hence impossible to miss. The kayaking is incredible here and to top it off it's so easy to do. Start your kayaking trip off at Collias (just a 5 minute drive way) and leave your car there. Kayak downstream taking in the Pont du Gard (the impressive and historic aqueduct that features on the €5 note) and after your 2-3 hour adventure, the Kayak operators minibuses will bring you back to Collias. Take a look at this short video we took this month of the kayaking at Pont du Gard and see why it's always a popular activity to do. We've got screens in bathrooms, there's a 90" screen in the TV room and then there's the two cinema screens - an indoor one and an outdoor one, both with big sound systems to match. From Star Wars and Back To The Future to CBeebies there's a screen for everyone ! Sold in 1156 by the King of France to the bishop of Uzès, later it formed part of the estate of d'Argenvilliers, Jean Racine's uncle. Racine, the famous writer, remembers in 1661-1662, the walks through the garrigues to the house. After a €5m restoration project taking over 5 years to complete, the scaffolding is coming down and we are excited to announce that The Chateau is now open for business. Run For The Hills is a brand new company. We're a portfolio of 4 unique venues. 4 awesome locations, 4 completely unique experiences. Welcome to Run For The Hills.